In addition to providing nursing care and complex health care services, in-home support and personal care includes assistance with bathing, dressing, personal hygiene, shopping, banking, transportation, meal preparation, and other activities of daily living. Nightingale’s home maintenance services allow seniors to keep up on home repairs and increase mobility, safety, and independence at home. Have Questions or Concerns about Assisted Living? To learn more about our home support services, contact us today to speak directly with a member of our courteous, knowledgeable staff. We’d be more than happy to answer any questions or to address any concerns you may have about assisted living in Ontario. Home is where the heart is, where celebrations happen. Home is where we feel most comfortable and where celebrations happen. At home we share meals, visit with loved ones and build fond memories. Aging at home IS possible. 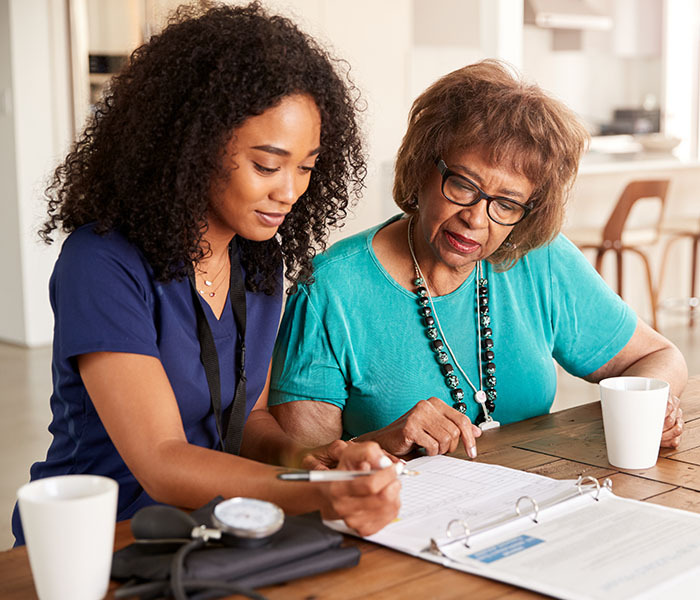 When you or your loved ones need a little help to remain independent at home, let Nightingale’s compassionate, bonded professionals help achieve that goal with the respect and dignity you and your loved ones deserve. Let us help you and your loved ones stay independent at home. If you call home a retirement residence, long term care facility, or need a little extra help during your stay at hospital, our care team at Nightingale Nursing can be there. Wherever you call home Nightingale can give you the help you need.